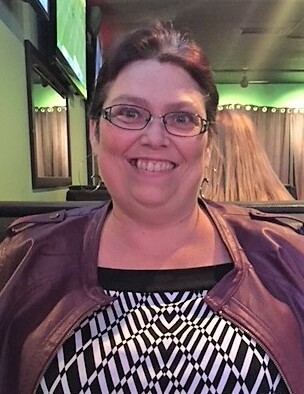 Kari Reid/Oakley passed away peacefully and surrounded by her family and friends on Wednesday, October 24, 2018 at the age of 42 years. Kari will be lovingly remembered by her brother, Robert; best friend and sister-in-law, Naomi; cherished nephew Kaleb; aunts Laurie (Calvin), June, Carol (Elmer), Brenda (Marc); cousin - who growing up together was more like another sibling – Dana (Ed); step-brothers David (Cheri), Shawn (Joanne), Billy, and Lloyd; niece Vannessa and many other cousins. She will be greatly missed by Melody, Earl, Raquel, Garrett, Cori, Jason, Brandon, Emma, Nikki as well as numerous other friends and coworkers whom were lucky to meet her. She was predeceased by her mother (Dallas), father (William), step-father (David Sr.), aunt (Janice), and grandparents Robert (Doris) and William (Diana). Kari enjoyed spending time with her family – camping, playing card games, watching movies, shopping, attending concerts and musicals, and singing to all types of music… always off key!! She played softball and slow pitch, was a vocal cheerleader at her brother’s fastball/slow pitch/hockey games – when she wasn’t scorekeeping. She was an avid reader, collector of porcelain dolls and loved unicorns. Our hearts are heavy with the loss of your presence; we take comfort in the knowledge you are now pain-free and reunited with the family members that have passed before you. We love you Karebear!